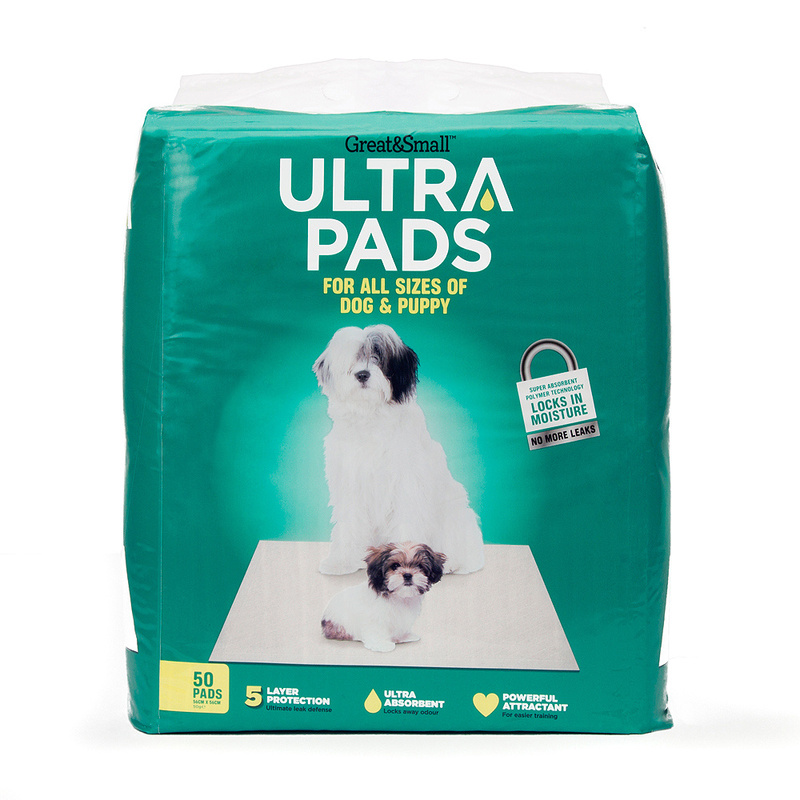 Great&Small Puppy Training Pads are infused with a special puppy attractant scent that encourages your puppy to be drawn to peeing on the pad. When dogs pee they leave behind a pheromone to say they’ve been there; other dogs detect this pheromone and want to mark it with their own, thus urinating over the top. The special scent in these puppy pads is a pheromone that draws the puppy to the pad and they then feel the urge to mark it – by peeing on it. We recommend: Great&Small Ultra Training Pads. Puppy pads are also useful for those situations when your dog might be feeling a bit worried such as time spent in a carrier or on car journeys. They keep your dog fresh and soak up those leaks for extra comfort and less mess. Another thing they can be used for is the dignified comfort of your older dogs, if little accidents come with age these pee pads can help protect bedding and keep your pets comfortable.